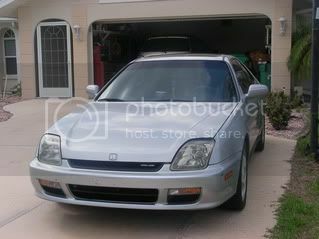 i want to get some halo lights for my 01 Prelude. But im not sure which lights would look nicer, any suggestions? right now i have 14k HIDs. im looken between these two choices. 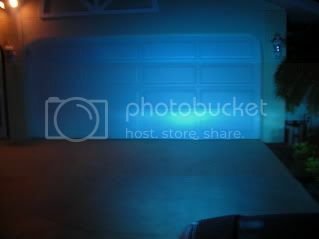 or if you know of any other halo projectors please let me know. 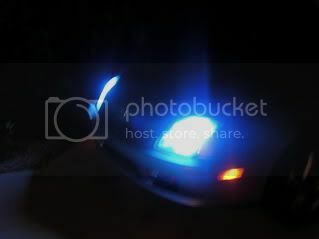 Last edited by MistaSattar; 06-08-2009 at 02:24 AM. Re: Which would look better? i dont like either to be honest. the blacked out one, if you see it in person its not black its like flattttt prime? as for the bottom chrome, those looks really wierd, the bottom city lights with the halo that circular shape is obnoixusly huge. neither. both of them will look cheap, plasicty, and ricey. not to mention the light output will be terrible. got them on ebay for 250 shipped with an hid kit. i call these 1st gen projectors, cuz these were the first style that came out then the one you like came out then another pair that depo made. Out of those two, definitely the chrome ones on a silver lood. HiLos are kinda cool IMO. yeah I wouldn't suggest either of them being they are probably going to be crap at that price but I like the way the clear ones look better on the silver lude. i'm not gonna say i like one over the other because i really don't. nothing against you, your taste, or your lude. but don't settle on something. do some looking around before you buy. there are so many more options out there. i have a question though... can you actually see anything at night with those 14k's?